In the wake of the financial crisis of 2008 many timeshare owners, who previously wanted to sell their timeshares, suddenly became desperate to do so. Reversals of fortune meant many owners had to unload, fast. But selling a timeshare, even in good times, can be a challenge. When the economy has just gone over a cliff? Nearly impossible. A Florida timeshare resale operation is the latest to run afoul of the Federal Trade Commission. 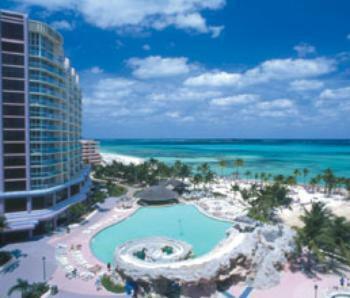 The FTC has charged Pro Timeshare Resales with bilking consumers of at least $15 million in hefty upfront resale fees. The FTC charges that the company falsely tells timeshare owners they have a buyer or renter ready and willing to take over their properties, or they promise that they will be able to sell the timeshare quickly. If you are headed for a popular resort on vacation this summer, chances are you will encounter an attractive and aggressively friendly young man or woman who offers you a free gift or meal that has just one tiny string attached. You have to submit to a timeshare pitch. Have you ever had an unctuous salesperson offer you some wonderful freebie — free luxury-restaurant dinners, free show or concert tickets, free stay in a vacation resort hotel — provided you agree to spend an hour or two attending a vaguely described “sales presentation?” If so, then watch out: chances are someone’s about to try selling you a timeshare. One: Don’t trust anyone who offers you something valuable in exchange for listening to a sales pitch. If what they’re selling were really such a good deal, they wouldn’t need to bribe potential customers into hearing about it. So as you read the reviews we collected about Wyndham Vacation Rentals this September, keep these three rules in mind — and notice how every single anecdote features a salesman breaking at least one of them. So they did, and they won! What amazing good luck, right? They took their valuable prize and went home? Jana and her husband work in financial services, and are presumably more contract-savvy than the average person, so they ignored the salesman’s high-pressure pitch and “got straight to the point." That was three years ago. Jana and her husband eventually escaped without signing anything, but Wyndham now had their contact phone number, and wasn’t afraid to use it. Tim almost considered buying a timeshare, he said, “until we were bullied and intimidated into a sale at the end of the presentation by a man whose name I cannot remember." What else? “We were told we would get 10 days of vacation during ‘primetime’ with the 84,000 points we bought into. Come to find out, for the property we bought, that only gets us 3 days, and SC is too far to travel to for just 3 days.” Also, “They didn't tell us our points expire. They have to be used or forfeited unless we pay a fee. "We were told party weekends were for anyone who could attend just because Wyndham likes to treat their customers well. We later found out, you have to bring a guest and they have to sit through a sales pitch." What else went wrong with their Virginia stay? “We were accosted again, and tricked into another presentation advertised as learning how your membership works and finding out about new resorts in New York and Boston, but it was actually another sales pitch. … We were told it would be 45 minutes but turned into over 4 hours. Ed never actually bought a timeshare, but explained that, “My wife inherited hers from her parents who bought it many years ago and they never went once. They since have both died and now we have it. We asked [Wyndham] how we could change a fixed week to points and they said, ‘This is all we have.’"
“When the smoke cleared we did change a fixed week to 126,000 points but when we signed the contract we went back to the room and saw that we bought another 126,000 points for $17,000, which we paid off within a month, thanks to Mom and Dad's will," Ed said. What are these “points” that Ed and other customers keep mentioning? Our attempts to find answers on Wyndham Resort’s incredibly annoying website went nowhere, though when we checked today’s eBay listings we found dozens of sellers trying to unload “Wyndham timeshare points,” with some auctions offering over 200,000 points for as little as a dollar. “If you buy, you will be purchasing a point system. It allows these resorts to sell then raise the amount of points it will take to stay there in the future. Then you have to buy more points. It’s a new twist to buying a week of timeshare. With the selling of weeks, resorts would eventually run out of inventory. With points, it is unlimited sales." “It was also extremely difficult to attempt to make reservations as there never seemed to be any availabilities when we needed. This exacerbated the already frustrating feeling we had over such a huge financial mistake. The maintenance fee started at $54.03 and is now $98.44. They want to hold you hostage to this maintenance fee (which they can raise at any time) for life." "We asked by phone (in June 2013) to discontinue our ownership, wanting nothing other than to be done. We were told ‘it's just not that easy’ to do. We had paid our account in full in 2003 and never missed a maintenance fee. The points are worth nothing and you cannot give them away because no one wants to be stuck with a lifetime of maintenance fees," she said. Consumers can be victims of scams any time but are often especially vulnerable when they go on vacation. The reason is simple: Vacationers are usually in a happy, relaxed mood and may be less wary to a con. They usually are carrying more cash than usual. The most aggressive form of scam is the pickpocket. The operator, or an accomplice, distracts your attention as he or she deftly lifts your wallet. This scam takes some skill and carries a good bit of risk. However, you are more likely to encounter it where there are large crowds and a lot of noise and confusion. 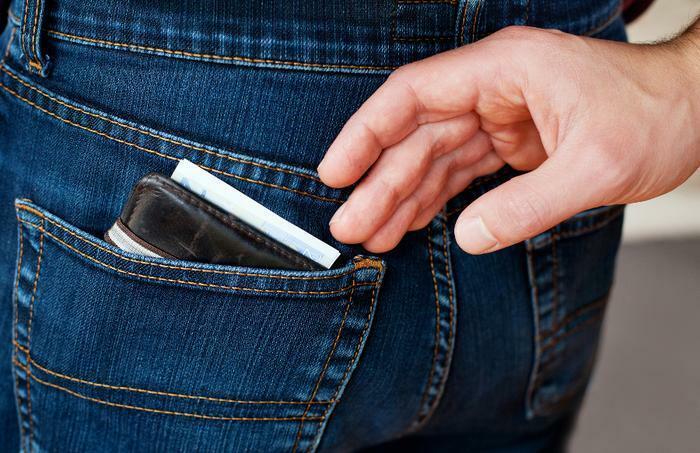 You can guard against it by keeping your money and valuables in a secure pocket, preferably one with a button flap. A more subtle form of scammary is to simply overcharge you for a purchase. It can happen when a business tacks on fees, doesn't charge the right amount for a service, or even gives you back the wrong change. The best way to guard against these scams is to know exactly what you are buying and what it costs. Make sure you get a receipt for each transaction and count your change, don't just rely on the cashier's accuracy. If you are visiting a popular resort area, chances are good you will encounter a high-pressure pitch to purchase a timeshare. These come-ons usually start with a guy on the street handing out “free” tickets to some event. The catch – you have to sit through a sales presentation. Not all timeshares are scams, of course, but high-pressure sales tactics are when the salesman uses deception and trickery to close the deal. Florida Attorney General Pam Bondi, who deals with lots of timeshare complaints, says scams are prevalent on the purchase transaction as well as the resale. Her advice? Watch out for the “you must act now” close. She says consumers always have the right to leave the sales office and come back later. Read your contract to determine what cancellation rights you have after you have signed the papers. And before buying a timeshare, by all means consider whether you will want to return to the same vacation spot each year. Once you buy a timeshare, Bondi says you may not be able to sell it due to a depressed resale market. And if you get scammed into buying a timeshare you really don't want, chances are good you could be victimized again by a scammer promising he can sell it for you – for an upfront fee. The Florida Attorney General's Office sued nine Florida-based timeshare resale companies in the first half of 2013 for fraudulent activity and filed motions requesting temporary restraining orders against six of those companies. To avoid falling victim to vacation scams, try to carry little cash and instead, use a credit card for most purchases. Know where your wallet is at all times. And run when a smooth-talking guy on the street offers you free tickets or a prize. If you think the bottom fell out of the real estate market, just think what happened to the timeshare market. Hundreds of thousands of consumers have found themselves stuck with timeshares they would like to sell, if only there were a market for them. This has created fertile ground for companies promising quick and lucrative solutions that usually turn out to be little more than shams. In one such case, Vacation Property Services, Inc., has been permanently banned from the timeshare resale and rental business, and from all telemarketing, under a settlement with the Federal Trade Commission. The settlement followed a court ruling that the company violated the FTC Act and Telemarketing Sales Rule (TSR). Ivette of New City, NY, described her experience with the company in a ConsumerAffairs posting: "The gentlemen promised that my time share will be sold within 90 days. It has been several years and I am still waiting." Kristale of Ft Washington, MD, had a similar experience: "I paid $700 for this company to sell my Orlando timeshare unit. It included 2 bonus weeks for $17,000 or to rent it for $750 a week. This was over 5 years ago." The FTC charged that Vacation Property Services made tens of thousands of unsolicited telemarketing calls to timeshare owners falsely claiming that they already had, or could quickly find, buyers for the owners’ timeshares. The defendants demanded that consumers pay a large up-front fee to facilitate the sale. The FTC’s complaint charged that the company and its manager and owner, Albert M. Wilson, misrepresented the company’s refund policy and the existence of potential buyers. The complaint also charged the defendants with calling hundreds of thousands of consumers whose phone numbers are on the FTC’s Do Not Call Registry. In May, the United States District Court for the Middle District of Florida entered a summary judgment order against Vacation Property Services, Inc. and Wilson. The court held that the company deceived consumers into paying large up-front fees by claiming that it had buyers lined up or would find buyers to purchase consumers’ timeshare properties, and that it had violated the TSR by calling telephone numbers listed on the National Do Not Call Registry. The settlement order announced today resolves the FTC’s remaining claims against Wilson. The order permanently bans him from all telemarketing and from participating in the timeshare resale and rental business. It also prohibits him from misrepresenting material facts about any goods or services, and from selling or otherwise benefitting from consumers’ personal information. The order imposes a judgment of more than $4.2 million, which will be suspended when Wilson has surrendered $120,000, a 2002 Porsche 911, a Spectre Sportfish boat, and his interest in Vacation Property Services. Timeshare operator Westgate Resorts is asking the Supreme Court to review a recent court ruling that slapped it with a $500,000 judgment for what a Tennessee judge called "intentional and fraudulent conduct." DVD cover for "The Queen of Versailles"
In the Tennessee case, timeshare buyers Nathan and Patricia Overton accused Westgate salespeople of using "high-pressure tactics" and making promises that turned out to be untrue during an eight-hour sales pitch. The Overtons purchased a timeshare unit in Gatlinburg, Tenn., in 2011 for slightly less than $40,000 and said they were promised they would be able to use additional nights at other Westgate resorts for only $59 more per night, the Orlando Sentinel reported. But when they tried to book those nights, they were told they didn't qualify, according to court testimony. The Overtons' complaint is similar to ConsumerAffairs reviews posted by other Westgate owners. "We have been owners at Westgate Smoky Mountain Resort in Gatlinburg since 2004. This past visit was one of the worst, but we have rarely had a good experience with getting reservations when and where we wanted them," said Anita of Brandon, Miss. "There are always a set of changing rules about what can be booked, splitting weeks, banking days. ... Westgate staff has misrepresented over and over and over." Westgate lost the case at trial and was also turned down at the state appellate level despite its argument that the treatment the Overtons received was "an isolated foul-up," as company attorney Michael Marder put it. The Overtons also said they were given a copy of Westgate's Public Offering Statement on a CD but that it was an old statement from 2006 and did not have amendments made after that time. The Federal Trade Commission (FTC) and state agencies today announced a major takedown of timeshare property resale scams and phony or misleading travel prizes used to rope in unsuspecting consumers. The agency announced 191 separate actions, including three FTC cases, 83 civil actions filed by 28 states and 25 actions taken by law enforcement in 10 other countries. Also, 184 individuals are facing criminal prosecution by federal and state prosecutors. 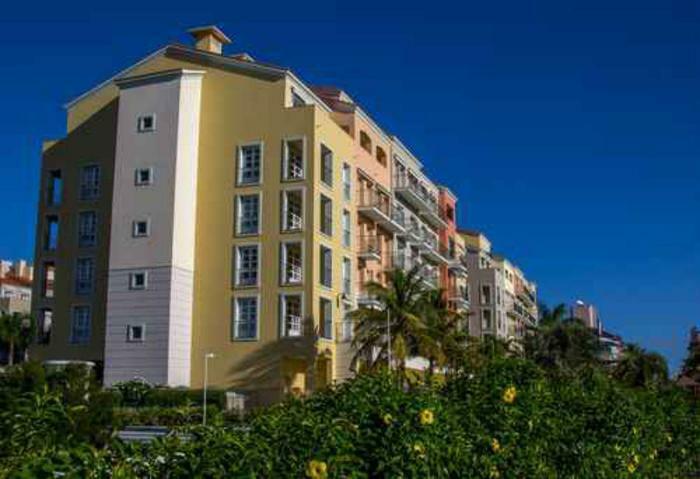 “Con artists take advantage of timeshare owners who have been in tough financial straits and are desperate to sell their timeshares,” Charles A. Harwood, Acting Director of the FTC’s Bureau of Consumer Protection, said during a press conference in Miami. “They persuade owners to pay fat up-front fees by saying they have someone ready to buy the property, but that’s a lie." Harwood had this advice for timeshare owners: "Never pay for a promise, get everything in writing first, and pay only after your unit is sold." Harwood was joined by Florida Attorney General Pam Bondi; Wifredo A. Ferrer, U.S. Attorney for the Southern District of Florida; Jay Levenstein, Deputy Commissioner of the Florida Department of Agriculture and Consumer Services; and a victim of an unscrupulous timeshare resale operation. Fraudulent timeshare resellers lure consumers into paying hefty upfront fees, falsely claiming to have interested buyers ready to pay top dollar for the properties. They claim sales are about to happen, but there are no buyers, and consumers lose hundreds or thousands of dollars. Deceptive travel prize promoters trick consumers into paying for discounted or “free” vacation packages supposedly worth thousands of dollars, but most people get nothing of value or have to attend high-pressure timeshare sales presentations. All of these scams reach consumers via unsolicited email, mailed travel vouchers, and radio, TV and online advertising. To help people avoid these kinds of scams, the FTC has updated its consumer education materials on new and emerging travel and timeshare resale frauds at ftc.gov/travel. If you are a timeshare owner and happen to get a call from a telemarketer promising cash in exchange for your “bonus weeks,” Arizona Attorney General Mark Brnovich suggests hanging up. Brnovich has filed a consumer fraud lawsuit against Condosmart LLC, an Arizona-based timeshare resale and rental advertising business. The suit accuses the company of making hundreds of unsolicited telemarketing calls to consumers who owned timeshare properties all over the U.S. According to Brnovich's records, consumers in Arizona, Arkansas, California, Florida, Georgia, Nevada, New Jersey, New York, Pennsylvania, and South Carolina may have paid Condosmart thousands of dollars for services that were not provided. The suit claims Condosmart, which also does business as CS Marketing, CSR Financial, and Condosmart Marketing, engaged in deceptive and misleading business practices as it targeted consumers who owned timeshare properties. Brnovich says the company's telemarketers were armed with a lot of information about the condo owners, including their name and where the property is located. He says that during sales calls, the telemarketers would routinely misrepresent that the owners had bonus, or extra, weeks that were available for sale to third parties. For example, in some cases Brnovich says timeshare owners were told well-known Fortune 500 companies wanted to rent their extra timeshare weeks for large events like automobile races, trade shows, and sporting events. The catch, says Brnovich, is the condo owner would be required to pony up anywhere from $995 to $1995 to market his or her “bonus” weeks. The suit claims the company has violated the Arizona Telemarketing Solicitations Act by failing to file a verified registration before soliciting consumers and by failing to maintain a surety bond, as required by Arizona law. 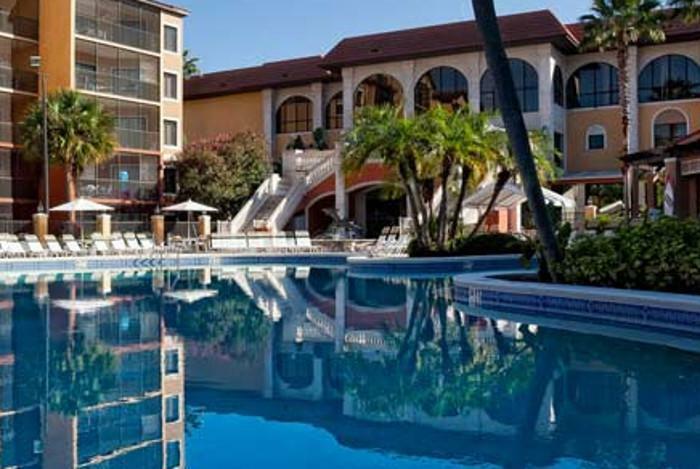 In states where there tend to be a lot of timeshare properties – like Florida – state officials spend a lot of time prosecuting alleged timeshare fraud. Florida Attorney General Pam Bondi says her office is constantly investigating telemarketers that push their services on timeshare owners trying to get out from under their obligation, either by selling or renting their time. Florida passed sweeping consumer protection legislation in 2011 that, among other things, prohibits a timeshare resale advertiser from providing brokerage or direct sale services, or misleading a consumer as to the advertiser’s sales success rate. Bondi says timeshare owners should always be wary of any marketer who calls out of the blue, expressing the opinion that the consumer's property is in a “hot” area and in demand. Unless it's a South Beach property for the week between Christmas and New Years, it probably isn't. 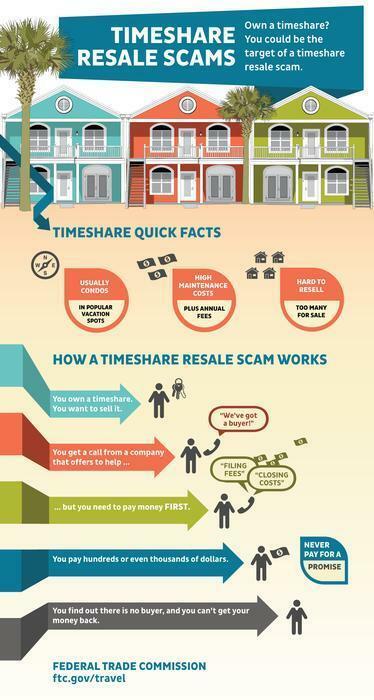 Bond has other tips for avoiding timeshare resale scams here. A federal court has put a stop to a telemarketing operation that allegedly scammed millions of dollars from property owners hoping to sell their timeshares. The Federal Trade Commission (FTC) claimed the ring, operating out of South Florida, conned consumers by promising that they had buyers lined up and waiting. Only after making a hefty up-front payment did the consumers learn that there were no buyers. The victims found it nearly impossible to get their money back from the defendants, many of whom have long criminal histories. "When cash-strapped consumers are trying to sell their property, the last thing they need is to lose thousands of dollars to scam artists who promise a quick sale, but then provide no services at all," said David Vladeck, Director of the FTC's Bureau of Consumer Protection. The case is part of an FTC effort to crack down on con artists who use fraud and deception to take advantage of consumers hit hard by the recent economic downturn. Many of the defrauded consumers needed to sell their timeshares to help pay their living expenses. According to the FTC, the number of complaints related to fraudulent timeshare resales has more than tripled over the past three years, as more consumers have attempted to sell their timeshares. In this case, the defendants allegedly defrauded consumers nationwide out of millions of dollars before being shuttered by the court. They also are well known to the South Florida Better Business Bureau (BBB) which, together with the FTC and the Florida Attorney General's Office, has received hundreds of complaints from consumers about their conduct. The BBB has given the firm, Timeshare Mega Media and Marketing Group, an F rating, the lowest rating it can give a business. According to the FTC's complaint, Timeshare Mega Media, two related companies, and six individuals used a telemarketing boiler room in Ft. Lauderdale, Florida. They told timeshare owners who were attempting to sell their units that a buyer was lined up and a deal had been negotiated on their behalf, but that before the sale could be completed, consumers would have to pay an up-front fee, usually $1,996, by credit card. The FTC's complaint charges that Timeshare Mega Media's representatives typically claimed the fee was for sale-related costs, such as realtor fees, closing costs, title searches, or document processing. They also told consumers that this fee would be refunded at closing. In some cases, if a consumer owned an expensive timeshare, the fee could be more than $1,996, ranging up to 10 percent of the asking price. Consumers also were told that their timeshare sales would close quickly, often in as few as 30 days. The FTC maintains that, after the consumers paid the fee, they were told to expect a contract from Timeshare Mega Media. What they received turned out to be a contract to market and advertise their timeshare, and not a sales contract. Many consumers signed and returned the contract thinking it was a sales contract. Those who questioned its validity were given the run-around by the company and falsely told that a sales contract would follow. In fact, according to the agency, the company never had any timeshare buyers lined up. When consumers discovered this and demanded their money back, they found it nearly impossible to get a refund, or even get a call back. The FTC's complaint was filed against Timeshare Mega Media and Marketing Group, Inc., also doing business as (d/b/a) Timeshare Market Pro, Inc.; Timeshare Market Pro, Inc.; Tapia Consulting, Inc.; Joseph Crapella, also known as Joseph John Philbin; Pasquale Pappalardo; Lisa Tumminia Pappalardo; Pasqualino Agovino; Louis Tobias Duany; and Patricia A. Walker. In filing the complaint, the FTC is seeking a permanent halt to the defendants' allegedly illegal conduct and to provide money back to consumers who were harmed by their violations of the FTC Act and Telemarketing Sales Rule. Planning your next vacation? Perhaps timesharing -- the use of a vacation home or campground for a limited, pre-planned timeâ€”is on your list of options. Timesharing may be a popular way to take a vacation, but problems can occur. Timeshare sellers offer gifts to get you to listen to a sales presentation. Many giveaways are of little or no value. Free airline tickets may be tied to the purchase of expensive hotel accommodations. Other vacation "awards" are often of questionable value. Prevent being locked into yearly maintenance fees until death or bankruptcy. Some resorts refuse to "take back" unwanted memberships. This is because the income generated by annual maintenance fees may be more valuable than the member's title to real estate. According to the Wisconsin Bureau of Consumer Protection, some timeshare/campground members state they have been unable to even give away their membership, much less being able to find a buyer. Timeshare owners who discontinue to use the resort facilities must continue to pay their annual maintenance fees and any special assessments. If the member refuses to pay annual dues, the condominium association may sue and recover back dues, interest, and attorney fees. Some members say they feel trapped for life. The Federal Trade Commission (FTC) found only 3.3 percent of owners reported reselling their timeshares during the last 20 years. You may face competition from the original seller. Or local real estate agents may not want to include the timeshare unit in their listings. Some resorts have a resale office to try to assist the owners of unwanted timeshares. In addition, some resorts will allow an unhappy timeshare owner to give back his interest in the resort, but rarely will a resort guarantee that it will buy it back. Be wary of offers from timeshare resale companies. Some desperate timeshare owners report paying resale companies $500 to list a timeshare, but promised buyers never materialized. These consumers report the loss not only of the original purchase price of the timeshare, but also the money paid to timeshare resale companies. Practical Factors. Consider whether you'll be able to use a timeshare facility year after year. Are your vacation plans sometimes subject to last minute changes, or do they vary in length and season from year to year? Does the property have flexible use plans? Are you -- and will you be -- in good enough physical and financial health to travel to your timeshare? Total Costs. The total cost of your timeshare includes mortgage payments and expenses, such as travel costs, annual maintenance fees and taxes, closing costs, broker commissions, and finance charges. Annual maintenance fees can range from $300 to $500. Since these fees can rise at rates that equal or exceed inflation, it's important to ask if there's a fee cap for your plan. Keep in mind that these fees must be paid whether or not you use the unit. To help evaluate the purchase, compare your total timeshare costs with rental costs for similar accommodations and amenities for the same time and in the same location. Document Review. Don't act on impulse or under pressure. Take the documents home to review. Ask a professional or someone familiar with timesharing to review the paperwork before you buy. If the seller will not let you take the documents, perhaps this isn't the deal for you. A good offer today usually will be a good offer tomorrow. Legitimate businesses don't expect you to make snap decisions. Find out if the contract provides a "cooling-off" period during which you can cancel and get a refund. If not, ask to include this clause. Most states where timeshares are located require a cooling-off period. If there is no cooling-off period, be sure you understand all aspects of the purchase and carefully review all materials before you sign. Oral Promises. Make certain all promises made by the salesperson are written into the contract. Exchange Programs that allow you to arrange trades with other resort units in different locations for an additional fee usually cannot be guaranteed. There also may be some limits on exchange opportunities. For example, you may need to make your request far in advance. Or, even at an additional cost, you may not be able to "trade up" to a better unit at peak time in an exotic location. When you trade, expect a unit of approximately the same value as your own. Reputation Research. Your resort will be a good place to vacation only if it is run properly. Research the track record of the seller, developer, and management company before you buy. Ask for a copy of the current maintenance budget. Learn what will be done to manage and repair the property, replace furnishings as needed, and provide promised services. Will these arrangements be adequate? Will they extend over a long period of time, or just the near future? Visit the facilities and talk to current owners about their experiences. Local real estate agents, Better Business Bureaus, and consumer protection offices also are good sources of information. Unfinished Facilities. Purchasing an undeveloped property is extremely risky. But if you decide to do so, commit money to an escrow account. This protects your financial investment if the developer defaults. Also get a written commitment from the seller that the facilities will be finished as promised. Default Protection. Learn your rights if the builder or management company has financial problems or defaults. Check to see if your contract includes two clauses concerning "non-disturbance" and "nonperformance." A non-disturbance provision should ensure that you'll continue to have use of your unit in the event of default and subsequent third party claims against the developer or management firm. A non-performance protection clause should allow you to keep your ownership rights, even if a third party is required to buy out your contract. Contact an attorney who can provide you with more information about these provisions. Foreign Properties. Be especially wary of offers to purchase timeshares or vacation club memberships in foreign countries. If you sign a contract outside the United States for a timeshare located in another country, U.S. federal or state contract property laws generally will not protect you. The State of Florida has gone to court to block two related South Florida timeshare resale marketing companies from operating in the state. 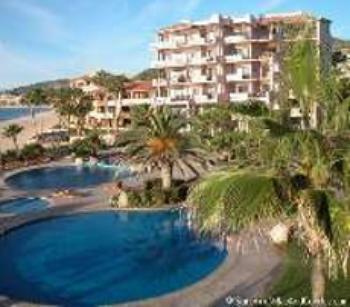 The suit claims the defendants preyeed on desperate timeshare owners trying to unload their properties. Attorney General Bill McCollum filed a lawsuit and has requested an emergency injunction against Universal Marketing Solutions, Creative Vacation Solutions, and owner/manager Jennifer Kirk. The suit claims the companies allegedly collected over $4 million in marketing fees on a monthly basis, but rarely if ever marketed, advertised, or facilitated sales for the timeshare owners who had contracts with the companies. The injunction requests the companies' cease doing any timeshare business while the lawsuit is pending. An investigation conducted by the Attorney General's Economic Crimes Division indicated that Kirk and her companies were charging marketing fees as high as $2,500 for timeshare resale advertising services. The companies were soliciting hundreds of consumers nationwide via the Internet and though aggressive telemarketing calls, allegedly making empty promises and false misrepresentations that they would actively match timeshare sellers with prospective buyers. According to the lawsuit, when prospective buyers contact the companies to purchase a timeshare, no attempt would be made by the companies to match those prospective buyers with sellers who had contracted with the companies, thus making the advertising and marketing claims a complete sham. To solicit more customers, the companies allegedly boasted of their "superior marketing tools," including marketing events, presentations and seminars. Kirk and her companies allegedly claimed they could "definitely" sell timeshares within a certain period of time and that they had buyers waiting with approved financing to buy the consumers' timeshare. Consumers were also verbally assured contract terms during telemarketing calls, but were furnished contracts with entirely different terms regarding the resale services. Additionally, the companies would allegedly charge consumers' credit cards or cash consumers' checks without and/or before obtaining a signed written contract from the consumer delineating all the terms and conditions of the services to be provided. Consumers who complained to the Attorney General's Office reported that the companies have not performed the promised services and that they were unable to contact the companies or get refunds. The Attorney General's Office believes that there could a total of more than 400 victims affected by the two companies' deceptive practices, and has been receiving approximately 10 complaints per day against these companies. The lawsuit seeks an injunction prohibiting the defendants from engaging in any timeshare resale business while the litigation is pending. The lawsuit also requests full restitution on behalf of all victimized consumers, civil penalties, and reimbursement for fees and costs related to the investigation. Have you ever thought about owning your own vacation home but been put off by the amount of time and work you will have to put into it, year round, to enjoy your twoweek vacation? Millions of people have solved this problem by buying a timeshare or vacation plan. If you are considering purchasing a timeshare or vacation plan, do your homework before the purchase. There are two basic options available to you: timeshares and vacation interval plans. Remember, these options should not be viewed as investments but as vacation destinations. Resale value of a timeshare or vacation interval plan may not be as high as what you paid for the plan in the first place as there are so many options available today. Both timeshare and vacation plans require you to pay an initial purchase price and periodic maintenance fees. The initial purchase price may be made all at once, or over time; periodic maintenance fees are likely to increase every year. When you buy a timeshare, youre purchasing the right to use a specific unit for a specific time every year, and you may rent, sell, exchange, or bequeath your specific timeshare unit. You and other timeshare owners collectively own the resort. You can return that same week each year, or you may be able to exchange it and stay at a different resort at another destination. 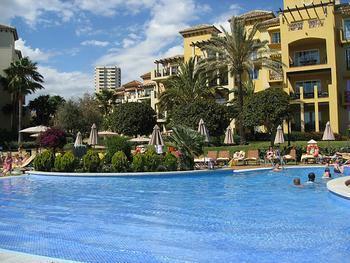 Owners share in the use and upkeep of the units and of the common grounds of the resort property. A homeowners association usually handles management of the resort. The total cost of your timeshare includes your mortgage payments, annual maintenance fees, taxes, travel costs, and other miscellaneous costs. Right to use vacation interval options are a little different. The developer owns the resort and each unit is divided into intervals either by week or equivalent in points. You purchase the right to use an interval at the resort for a specified number of years, usually between 10 and 50 years. The specific unit you use at the resort may not be the same each year. You will also have to pay an annual maintenance fee that is likely to increase each year.  Dont ever buy (or sell) on the spot. Take the time to evaluate the deal and sleep on it if necessary.  If you are offered a free gift or free tickets, be aware that most timeshare offers include a lengthy sales presentation to qualify for the gifts. If the presentation is too high pressure, leave. You have the right to leave whenever you wish. Dont let them argue with you. Excuse yourself and leave.  Read the contract and have it reviewed by an attorney. All promises made to you by the salesperson should be in the contract. If not, dont rely on those promises as they wont be enforceable. (Timeshare sales contracts often include clauses that disclaim any promises made during the sales pitch.) Make sure the contract includes clauses concerning both non-disturbance and non-performance. A non-disturbance clause ensures that you will be able to use your unit or interval if the developer or management firm goes bankrupt or defaults. A non-performance clause lets you keep your rights, even if your contract is bought by a third party.  Ask for references and follow through by calling them.  RESEARCH and EDUCATE yourself on the market and the value before making a purchase. Check the track record of the seller, development, and management company.  Ask about your ability to cancel the contract or the right to cancel. Each state has specific right-to-cancel laws, so depending on where the sales presentation/purchase is made, you should check on that states laws.  Use an escrow account if you are buying an undeveloped property. Get a written commitment from the seller that the facilities will be finished as promised.  Keep in mind cancellation issues, disputes and other potential legal issues may not be subject to the law in your state if the property is located in another state or the transaction or agreement occurred out of state.  Be wary of timeshares or vacation plans in foreign countries. If you sign a contract outside the U.S. for a timeshare or vacation plan in another country, you will not be protected by U.S. laws. To learn more about timeshares and vacation interval plans, you may wish to contact the American Resort Development Association. However, be aware it represents the vacation ownership and resort development industries. You may reach them by calling 202-371-6700 or by visiting their website at www.arda.org. Editor's Note: For the verbatim experiences of real consumers, see ConsumerAffairs.com's Timeshares Section.